It is critically important to choose the right marketing partner to design, produce and execute winning marketing strategies. A healthy partnership with your marketing company can absolutely improve your business’s bottom line. On the other hand, selecting and/or keeping the wrong partner can lead to dreadful consequences. With that in mind, the following are both planning actions and precautionary measures one can take to avoid a marketing partnership disaster. • What services do you need? • What are the strengths and weakness of your own internal team? • Does the agency clearly understand your business? • Do they work with any of your competitors? • Is the agency’s senior leadership involved in your business? • What is the background of the firm’s founder? • Who are some of the agency’s existing clients? • What is the agency’s client retention rate? • What are their areas of expertise? • Do these competencies match your needs? • Can the agency demonstrate proven results? • Can they produce examples to illustrate creativity? • What do existing clients say about the services provided? • What strategies and tactics will they employ to assist in achieving your goals? • How will the agency highlight/leverage your strengths? • How is progress reported month-to-month? • Is all reporting fully transparent? • What percentage of your ad budget is actually used towards media spend? • Are these percentages consistent across all mediums (Google, Facebook, YouTube, etc.)? • Can you speak directly to the individual(s) who will manage your account day-to-day? • Are these people with whom you will enjoy working? In the world of marketing, honesty and integrity are not optional, but rather both key ingredients that go into developing a thriving business. For this reason, and many others, it’s imperative to choose your agency partners as carefully as you choose your friends. Do your homework and be prepared. All agencies are not created equally! Octane Marketing offers full-service integrated marketing strategies focused on digital marketing, social media, reputation management and marketing communications. Dealers have lots of choices when it comes to marketing partners. We have been chosen by some of the best because we not only know marketing, but we also know automotive. Like any great service company, our foundation is our team of automotive professionals. Combined our leadership team has over 125 years of experience working in retail automotive, many different OEMs, and for automotive agencies. This allows for us to have a deep understanding of our clients’ needs and goals. Our recommendations come from real life experience and are more than a catchy sales pitch. 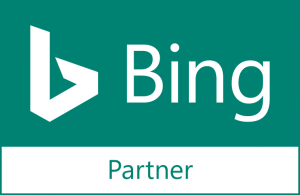 Our campaigns deliver results; that is why Google has chosen us as a Google Premier Partner and Bing as a Bing Partner.